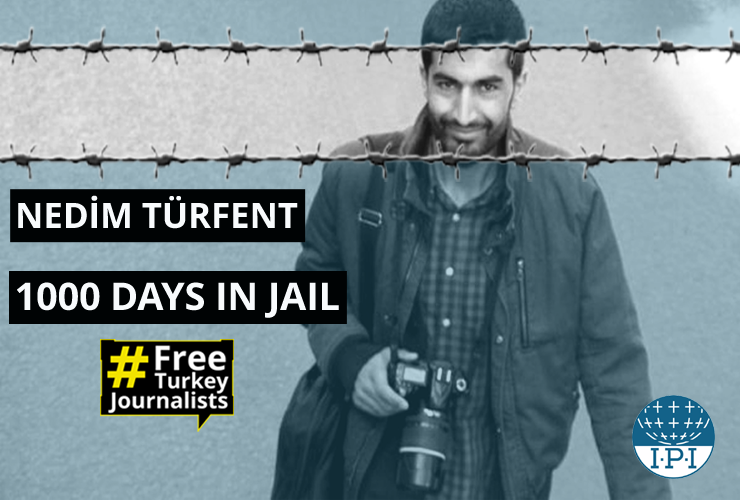 5 February 2019 – Over 650 writers, journalists, publishers, artists, and activists are calling for the immediate and unconditional release of news editor, reporter and poet Nedim Türfent. Today marks 1000 days since he was arrested and sentenced to eight years and nine months in prison on trumped-up terrorism charges following an unfair trial, during which numerous witnesses said they had been tortured into testifying against him. A news editor and reporter at the pro-Kurdish Dicle News Agency (DİHA), Nedim Türfent was arrested on 12 May 2016 after covering clashes between the Turkish army and the armed Kurdistan Workers’ Party (PKK) in the predominantly Kurdish southeast of Turkey. He spent nearly two years in solitary confinement, during which time he was transferred to several prisons and reportedly held in conditions amounting to torture or other ill-treatment. “Today marks another grim milestone in Nedim Türfent’s miscarriage of justice. He has now spent a thousand days behind bars when he should have never been imprisoned in the first place. As we are reminded of the shocking and unacceptable price journalists can pay for simply doing their job, we commend his resolve and forcefully call for his swift release,” said Carles Torner, Executive Director of PEN International. Nedim Türfent was formally charged with ‘membership of a terrorist organization’ and ‘spreading terrorist propaganda’ 10 months after his arrest. Among the reasons listed in his indictment were his social media posts, his news reporting and 20 witness testimonies. His first hearing was held in Hakkari on 14 June 2017, some 200km away from Van where he was being detained. He was denied the right to appear physically in court seven times, instead forced to testify via the judicial conferencing system SEGBİS, experiencing severe connection and interpretation issues. Out of the 20 witnesses called, 19 retracted their statements, saying they had been extracted under torture. 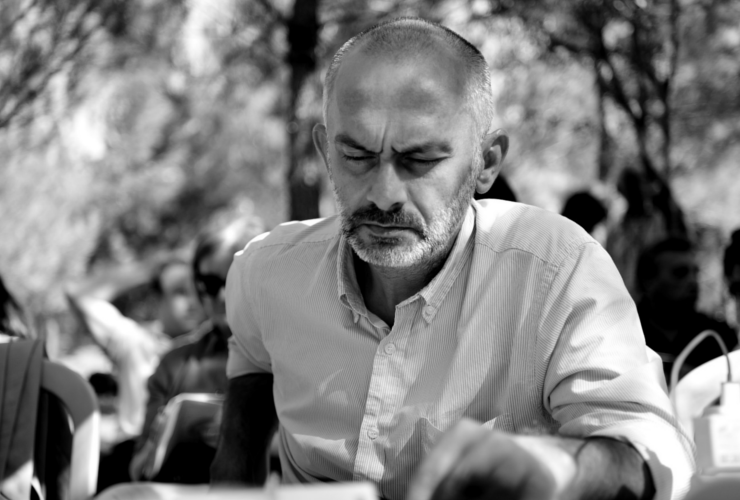 “IPI has followed Nedim’s case closely from the outset. Firstly, by reporting the online harassment he received at the hands of the security forces and secondly by closely monitoring his unfair trial and writing to him in his cell in Van. Nedim is a journalist. Nedim is innocent of any crime other than having published a story that the Turkish authorities did not want to be revealed. His case is one of the most unjust in a country full of unwarranted legal cases against journalists. IPI calls for Nedim’s immediate release and for the Turkish government to reinstate media freedom in Turkey, allowing journalists to do their job in fulfilling the right of the people to receive the news,” noted Caroline Stockford, IPI Turkey Advocacy Coordinator. Despite such clear evidence of flagrant fair trial violations, Nedim Türfent was sentenced to eight years and nine months in prison for ‘membership of a terrorist organization’ and ‘spreading terrorist propaganda’ on 15 December 2017. On 19 June 2018, the Erzurum Regional Appeals Court upheld his conviction. On 3 September 2018, his lawyers lodged an appeal before Turkey’s Constitutional Court. “MLSA has represented Nedim Türfent since shortly after his conviction. This is a highly political trial, which was launched after Nedim covered human rights violations that occurred in the Kurdish regions of Turkey during security operations in the area. We demand his immediate release and we will continue working to that end,” said Barış Altıntaş, MLSA Co-Director. “The story of Nedim is actually the story of Kurdish journalism,” added Veysel Ok, MLSA Co-Director. “Nedim’s trial differs from the journalism trials known in the West in that the police extracted witness testimony by force and through torture. Nedim himself was physically tortured. He was convicted without being taken to the court trying him. We will continue our legal fight using all legal remedies available to ensure his freedom,” he noted.